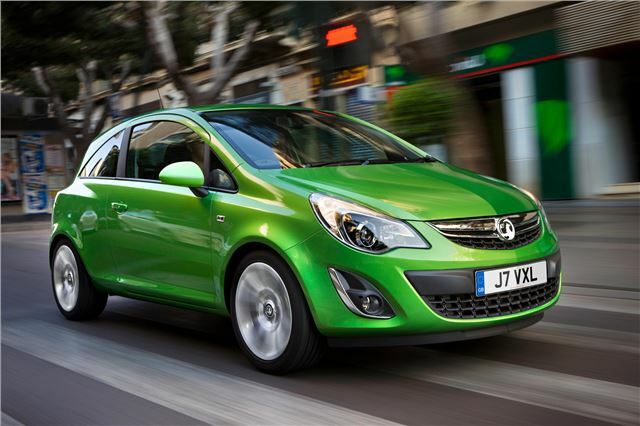 Vauxhall has announced reduced CO2 figures and increased official consumption figures for the 1.3 CDTi ecoFLEX engine in the Corsa. The engine has benefitted from a number of improvements that have brought consumption and CO2 emissions dwn by 26 per cent. The three-door Corsa 95PS 1.3 CDTI ecoFLEX Start/Stop now achieves 85.6mpg while emitting 88g/km (five-door: 83.1mpg /89g/km CO2). This is a 2.4mpg and a 6g/km improvement over the 2011 Corsa 1.3 CDTi ecoFLEX (80.7mpg /94g/km). The turbodiesel is equipped with a variable displacement oil pump that delivers only the necessary oil pressure. It varies oil volume depending on the load in order to reduce the energy needed for oil circulation. The use of special low-viscosity transmission oil also contributes to efficient fuel consumption. It's also fitted with new 185/65 R15 low-rolling-resistance tyres. November also sees the introduction of a new generation of manual gearboxes on Corsa models for a more precise and smoother action.